At this moment in time, on both sides of the Atlantic, digital making and the maker movement is enjoying its time in the sun. 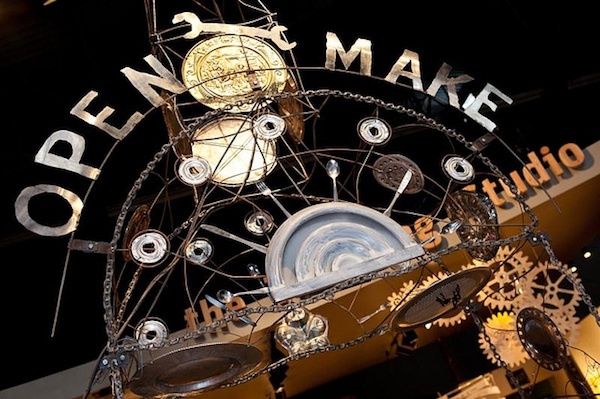 A combination of policy concerns, technological developments, learning theories, social opportunities and articulate enthusiasts have come together and, although the maker movement is a bit of a minority sport, it seems to have broken through into the mainstream. In the UK, for example, there is a terrific program of support offering a range of activities from maker-faires to hacking events to coding clubs working with apps and mash-ups and the new pliable, wearable, fungible, programmable switches, boxes, add-ons and computers coming together under the banner ‘Make Things Do Stuff‘. I want to try to flesh out why making and the maker movement seems to have gained so much traction in the reform arena because it helps us to understand what combination of factors are needed to make an impact in the contested and conflicted world of education, but also to compare the contemporary making moment with older and other making movements – especially around media production – to disentangle why some curriculum innovations seem to gain approval and some don’t. There are a number of reasons why digital making has taken off. The most obvious might seem to be the new wave of technological innovations. Raspberry Pi, lily pads, Arduino are all cheap accessible, simple to use and mass produced. Previously high-end technologies like 3-D printing are coming down in price all the time and connectors, Wi-Fi and RIFD chips all seem to have reached a tipping point so that they are available and almost intuitive to use. Yet these technologies (and combinations thereof) are only the tip of an iceberg as making as a movement works along a continuum from simple-to-use and off-the-shelf technologies to serious innovation in manufacturing. There is a broader context at work here suggesting that important economic growth is going to be stimulated by possibilities opened up by the maker movement. Here, writers like Chris Anderson and Cory Doctorow have suggested that there is a move afoot from small-scale tinkering to open up new products and new markets – a particularly important argument given the seemingly intractable problems faced by the declining economies of the West. One of the key issues here is that forms of collective social activity, often through virtual communities, now open up the prospect of making goods and entering marketplaces with a much lower barrier to entry, thus offering opportunities to those with initiative and entrepreneurial drive rather than simply those with access to large amounts of capital. In the UK we have been looking backwards nostalgically (perhaps not for the first time) at the home computing movement in the early 1980s stimulated by the BBC and its patronage of an accessible early computer, the BBC Micro. The workforce who learnt on that technology were at the forefront of the then highly successful UK games industry and a desire to recreate that energy and entrepreneurialism now lies behind current policy initiatives espoused by conservative and left alike, especially unifying around the desire to teach coding. Yet, I suggest none of these synergies would have had quite the purchase that they have had in education communities all over the world if making didn’t build on the accepted and embedded principles of Constructivism developed in the main by key actors working at MIT in the 1980s. Learning by making is an accepted principle amongst teachers and educators of all sorts of persuasions. Whilst it is true that the maker movement can give young people a different kind of access to communities and resources and allow them to work with peers or directly to market, thus (possibly) shaking down the traditional through routes from school to college to work, and whilst it is true that there may well be metaphorical gold in plastic, none of this would have had any effect on educationalists if they weren’t already predisposed to view the act of making and its associated disciplines as central to the processes of effective learning. In other words, the fact that policymakers have jumped on the making bandwagon and acted in such a way that many teachers have felt it was now legitimate to place making activities at the heart of the curriculum. Equally, making with young people often describes a particular set of processes, of learning to hypothesise, to experiment, to manipulate, to reflect and assess and then to repeat – learning from one iteration to the next. In an educational context that prizes standardised high-stakes testing finding policymakers who were prepared to espouse messier and open-ended classroom activities also seemed a form of validation. Official recognition of making allows many teachers to come out of their constructivist closets – just like in England over the previous decade the banner of creativity mobilised a generation of silenced teachers and principals. However, making as an educational project is not just about process or product but carries within it a key principle of critical reflection. As the blurb for the English digital making initiative claims, making: inspire[s] young people to be creators, not just consumers of digital technologies. Setting aside for one moment any empirical claim of whether this is true and how we would know if it was, the desire to empower youth to take control and to learn an independent stance in relationship to their everyday use of digital technologies also infuses maker ideology; and this ideal is shared (or so they claim) by politicians and business leaders alike. A key feature of learning by making and especially of digital making is that by making explicit how things work it enables all of us to understand how the apparent transparency of technology mediates and constructs reality; and it places users and readers in a different kind of relationship to the product or text. The same dynamic – enabling a critical stance, and above all, a change in role from consumer to producer – has been part of earlier iterations of the shift to a digital world. It was present in early claims about how early computers enabled forms of modelling and simulation; it was present in the move to digital production showing how image manipulation and non-linear editing work their ‘magic’; it was present in the desire to offer courses in making websites 10 years ago; and above all it has been part and parcel of the debate around digital literacy where it is suggested that we need to understand the ‘code’ in every sense of the term behind digital artefacts and participation in digital culture. It is not so much an original argument as a persistent one. In many ways, I am suggesting that the making movement and making culture has been more successful in taking on this dynamic, this critical stance, this movement between reader and writer, than any of these previous iterations. Given that it is never going to be easy to advocate being critical, I wonder why this aspect of making has been so amenable in public debate. Is it because, as I have already suggested, making brings together so many different constituencies – economic growth, cheap technology, progressive pedagogy and a constructivist curriculum – that this potentially challenging principle gets through the door? Earlier and continuing kinds of digital making in the form of film, video and other forms of participation and expression by youth are almost always more marginalised and problematic. For those of us who share these critical aspirations it may be that the maker movement can teach us more than just how to make clothes that light up, new kinds of speakers or curious plastic objects. 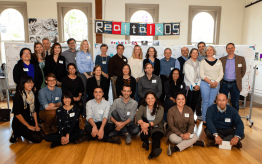 Maybe change needs longer traditions like those provided by the maker movement, and maybe we all need to find ways to build constituencies across previously distinct stakeholders in order to promote the conditions for serious change? 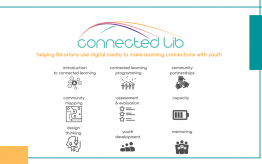 Is Making the new form of digital literacy in all but name?